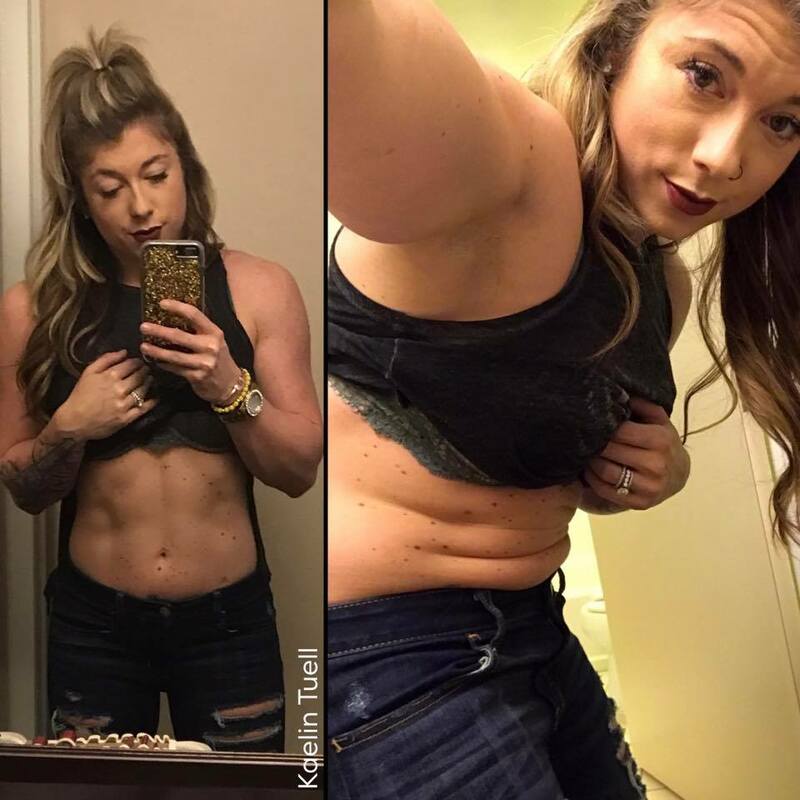 Home / Weight Loss / Real Weight Loss Stories / Kaelin Tuell Poulin Lost 65 Pounds, Earned Her IFBB Pro Card In World Record Time! Kaelin Tuell Poulin Lost 65 Pounds, Earned Her IFBB Pro Card In World Record Time! 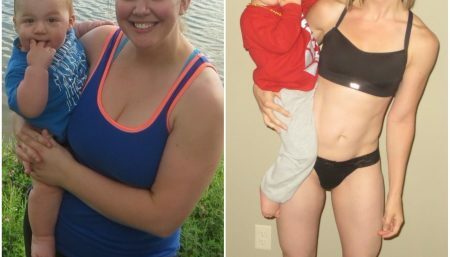 Kaelin Tuell Poulin lost 65 pounds in 7 months. In record time, she received her IFBB Pro Card (International Federation of BodyBuilders). This is the competition where physique legends got their start like Arnold Schwarzenegger (the “Terminator”), Lou Ferrigno (the “Incredible Hulk”) and Steve Reeves (“Hercules”). 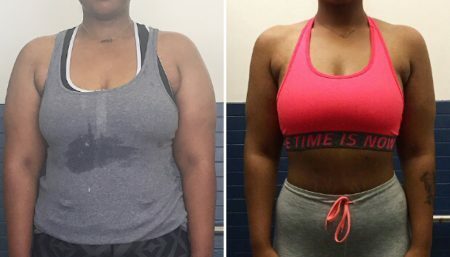 Kaelin started documenting her weight loss journey showing the good and bad and grew a whole community of women from it that she is now helping. 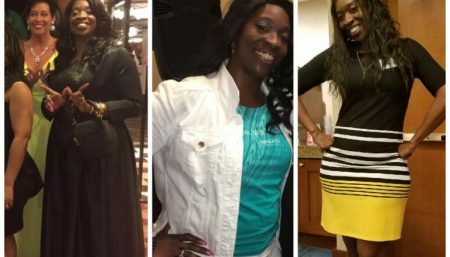 She started her own fitness company called Lady Boss and has now written a book too. My dad died when I was 16, & after that I spiraled out of control, using food to cope with my depression. I was eating fast food twice a day, drinking 10 cokes a day, sitting in front of the TV every night eating a tub of cookie dough before bed. I had zero self confidence, I couldn’t stand looking in the mirror, and I pretended like nothing bothered me, while I hid in my dorm room scarfing down bags of gummy bears and iced cookies. The final straw was when I was at a family gathering for Christmas and my grandma had just made a fresh batch of snickerdoodle cookies, I was getting ready to reach for my sixth one when my grandma smacked my hand and said “Now Kaelin, do you REALLY think you need that cookie? !” I was super shocked, hurt, and also mortified that she just said that in front of my entire family, but when I got home that night and was lying in bed thinking about what she said. And she was right. That was the moment when I decided that I wanted to be healthy, I didn’t want food to control me any longer, I wanted to have self confidence, I wanted to love the woman I saw in the mirror, I wanted to change the relationship that I had with myself. So I started on my journey to lose the weight and learn to love myself in the process. It was terrifying when I first started, I remember going to the gym for the first time; I walked in the front door with my hood up made it just about past the front desk and then turned around and walked straight back out. So the first milestone was just getting INSIDE the gym. I finally got myself to go because I made a declaration that I wasn’t allowed to watch TV unless is was from a treadmill! Another milestone was losing the 65 pounds. I had to overcome my food addiction in those months & actually learn how to have a healthy relationship with food, not allowing it to control me anymore. The next milestone after losing the weight was deciding to compete in my first figure competition. Which was just an insane idea to say the least! I ended up winning my class and the overall at my first show then went on to set a world record for the fastest IFBB Pro Card (2 shows). Even though everyone in the fitness industry told me that it would be a waste of my time & to not even travel to the competition! The next milestone was creating LadyBoss Weight Loss, overcoming all of the scrutiny of starting our own company but we stayed focused on all of the women we would be able to help, & now 2 years later – we’ve been able to help over 60,000 women get healthy & love themselves! I didn’t know how to workout and I was terrified of even stepping onto the weight floor. So I just decided to do cardio and watch how everyone else was doing it instead. And I was still struggling really hard to even make it to the gym, but I realized I didn’t struggle to sit down to watch my favorite shows, so I made a declaration that I was only allowed to watch TV if I was on a piece of cardio equipment while watching it. Then slowly but surely I became more confident in what I was doing and after watching people weight train for weeks, I finally mustered the courage to approach the dumbbell rack. After I realized I wasn’t going to die being on the weight floor, I started finding workouts and then trying to find the matching tutorial video to show me how to do the exercise. I would weight train for 30 minutes and do cardio for about 45 minutes a day. Every single day. Because I wanted it to truly become a habit for me, I wanted it to become a part of my regimen, for it to become a habit; like brushing my teeth. Wake Up, Have an egg white omelet with mushrooms, spinach, green chilies, and salsa with 2 rice cakes with almond butter on top on the side. Meal 2 is 6 oz of grilled chicken with 2 cups of green beans and 1/2 of an avocado. Meal 3 is a mixed green salad with 4 oz of cod, 1/2 cup of black beans, and sautéed mixed veggies. Meal 4 is 4 oz of chicken with 4 oz of sweet potatoes and 2 cups of green beans. Meal 5 is usually an omelet after my late night cardio and maybe a couple scoops of halo top ice cream. Plus, I usually get in about a gallon of water a day. My WHY is women out there who were just like me, that don’t know what to do or where to start. I remember feeling lost and terrified, I wanted to be healthy but I was so overwhelmed & confused on what to actually do. I’m motivated to work hard every day to lead by example for all of these women! To show them how to make a healthy lifestyle happen and still have fun while doing it, & loving yourself every step of the way. Just continue doing what I’m doing! Training hard every day, eating healthy 90% of the time but still having my free meal once a week and never feeling guilty for having “experience meals” while I’m traveling! Get your FREE copy of Kaelin’s new book, Big Fat Lies, where she shares the TRUTH about losing weight that the weight loss industry doesn’t want you to know about. 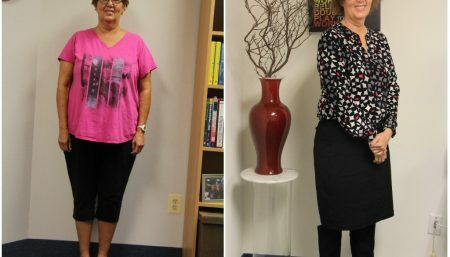 Real Weight Loss Stories Deb Stewart's Weight Loss Journey Proves You Can Lose Weight Even At 50!